This young girl has such beautiful and expressive eyes, and a little pout since her Mother put away the treat she was enjoying! 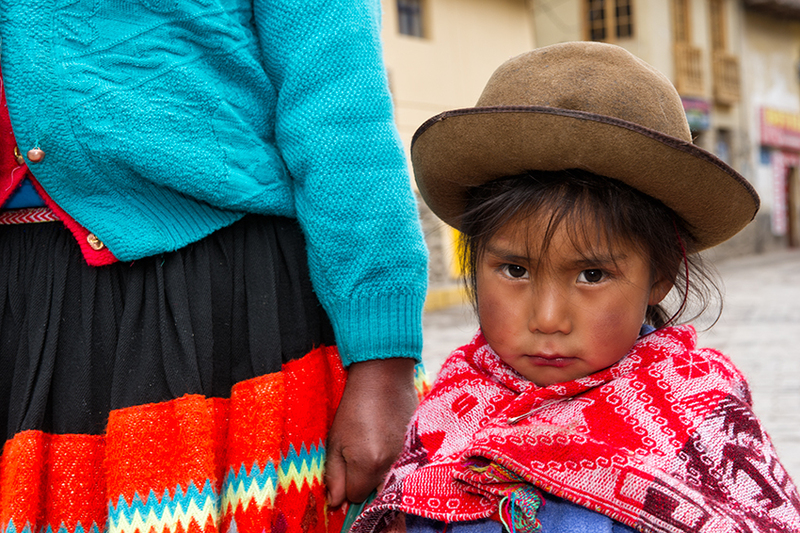 Peruvian villagers often wear the most colorful clothes. This little girl's woven shawl, along with her Mother's colorful skirt and sweater, adds texture and vibrancy to the composition. To record the moment, I photographed the little girl at her eye level. She gave me a shy smile, but it was her pout that stole my heart!